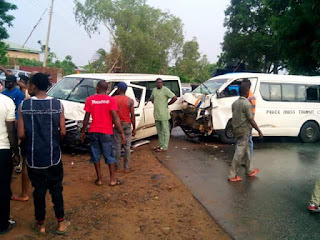 Facebook user, Igwenwokeoma survived an accident involving a bus belonging to Peace Mass Transit in Saturday. "If all my body should turn to mouth,it will not be enough to praise God. Satan wanted to terminate my life yesterday via accident but God assured me that untimely death is not my portion. Not even a scratch on my body. To God be the glory"